It is crucial that a person do all they can to better their health, even while at work. A lot of people can attest to the fact that it is easier to deteriorate one’s health than it is to build it back up. Thus, it is crucial that a person do all they can to better their health, even while at work. On that note, below are several ways an employee can achieve good health while at the workplace. The greatest companion while you work is a great snack. Although, it can be tempting to stash junk food in your office desk to munch at while you work, try to put healthy snacks instead. You might be worrying about the flavor, but plenty of snack companies nowadays have healthy and delicious snack choices available, so there is no excuse to keep some in your desk. Keeping yourself hydrated is right for your health and makes your skin glow. If you frequently forget to drink water while you work, then make it convenient for yourself by keeping a bottle of water at your desk. This way, you have a physical reminder and actual water to drink at the same time. Plants better the quality of air that you breathe, and good air quality is an essential part of a healthy life. Thus, one way to keep healthy at work is by having a pet plant like succulents right at your desk. It will not only beautify the place, but it will also be great for you. Although it’s okay to have a few snacks at the office, eating your lunch, there isn’t ideal. Not only does it make you sit for an extended period, but you also may tend to overeat when you eat at your desk. Avoid overeating and oversitting by taking your lunch elsewhere. While at work, you can’t avoid sitting so you might as well have good posture while doing it. Having good sitting posture can help decrease back and neck pain for you. Hence, if you find yourself suffering from back pain, then it may be because of your posture. Studies have shown that sitting for long periods is bad for your overall health. That is why it is essential that you occasionally move around while you’re at work. If your workplace has a standing desk, then you can shift work desks for a bit, so you don’t sit all day. Sometimes, the best way to stay healthy at work is to not go to work. You should avoid going to work if you’re sick. This way, you don’t end up spreading disease in the office and making the workplace a less healthy place for others. Hand sanitizers are good to have around so should you be dealing with a sick coworker. You can sanitize your hands afterward. According to MaidSailors, leading Office Cleaning NYC provider, a clean workplace is a key to avoiding germ and bacteria buildup. Thus, it is good to regularly clean your desk because you do a lot of your work there and germs can gather there, and it will affect you the most. Not only do mobile phones reduce productivity, but they also can give you headaches when you frequently use them. Think about it. You’re transferring attention from one screen to another, and it can be taxing on the eyes so give yourself a break by putting away your mobile phone from time to time. People use their computers often, and this can lead to some unhealthy habits that are bad for your well-being. Try to make it a habit to put your hands away from the mouse and keyboard when you’re not using them and avoid eye strain by working somewhere with good lighting. Sometimes, you need to get away from your desk and take a short breather. When you do this, you give yourself the chance to recharge and to refocus your energy to the right places. 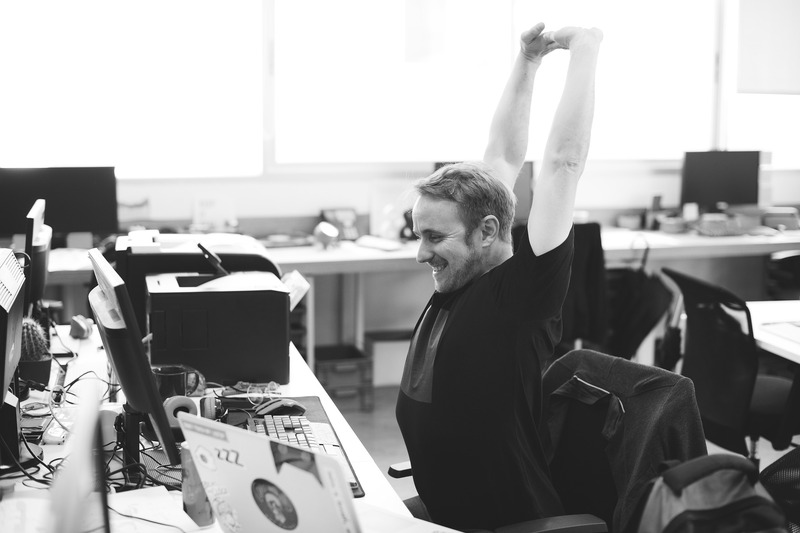 In this article, you’ve found that there are many simple choices one can make in the workplace that can have a lasting impact on the betterment of their health. You don’t need to do a complete lifestyle overhaul to be a healthier version of yourself, so there’s no excuse not to do them. Be healthy, and you’ll have a better time at work and elsewhere!